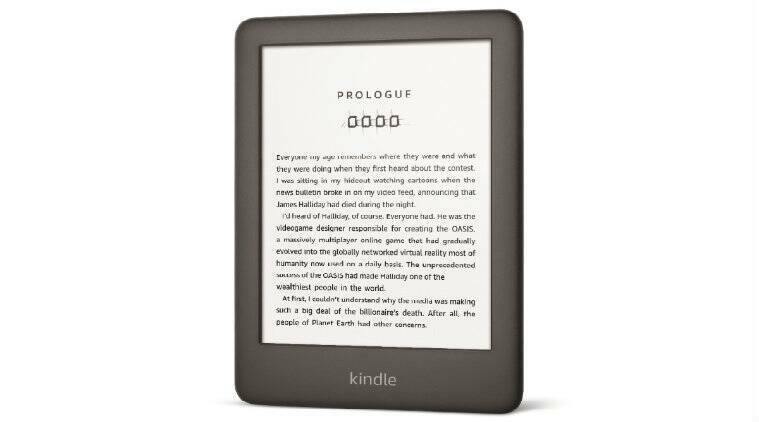 Amazon has launched its entry-level Kindle with a front light. The e-reader is priced at Rs 7,999. Book store blues: I’m buying more books on the Kindle… because they are there! Amazon claims that the all-new Kindle is much easier to read in most lighting situations thanks to the front light and glare-free display. Amazon has launched a new variant of its Kindle e-reader, dubbed the all-new Kindle. The new e-reader comes with an adjustable front light and an updated design. The all-new Kindle is priced at Rs 7,999 and is currently available for pre-order on Amazon India. Users can buy the all-new Kindle in black and white colour options. Those who plan to pre-order the device before April 9 will get their first e-book free of cost along with a two-year total protection plan, which usually costs Rs 1,199. The company has announced that it will start shipping the device on April 10. It has also made a number of snap-on covers priced at Rs 1,499. The covers are made of woven fabric and are available in multiple colours including charcoal black, sandstone white, cobalt blue and punch red. Amazon claims that the all-new Kindle is much easier to read in most lighting situations thanks to the front light and glare-free display. The device comes with a capacitive 6-inch display with 167 pixels per inch resolution. Along with the all-new Kindle, Amazon has also brought in a number of new features like app syncing, automatic read marker, and more. All of these new features will soon be made available on the Kindle Paperwhite Gen 6 via an over-the-air update in the coming months. The Kindle family currently includes the Kindle Paperwhite and the Kindle Oasis, which are both much more expensive than the all-new Kindle.